If the Send Anywhere Add-In doesn’t appear in the ribbon after installing the program, you can enable the add-in via the ‘COM Add-Ins’ menu. 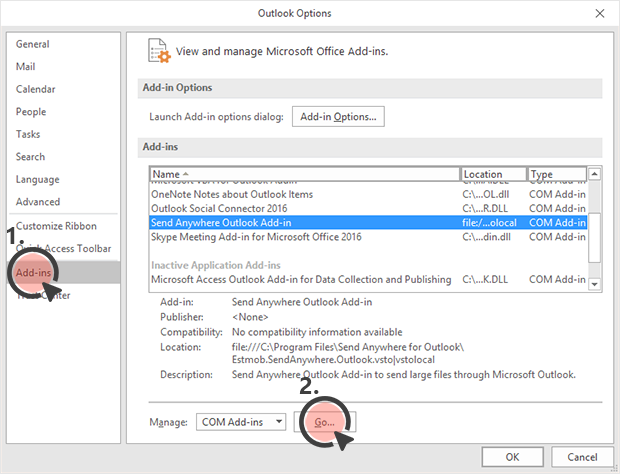 Select the File > Options menu in Outlook. On the Option menu, click Add-Ins > Manage: COM Add-Ins > Go button. 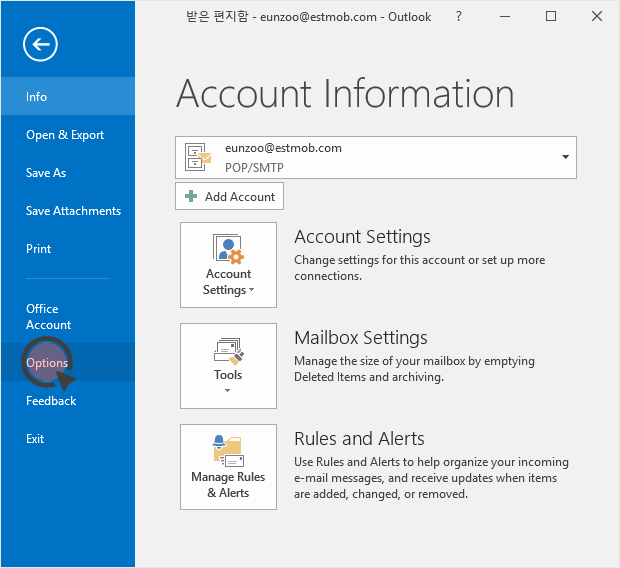 Check Send Anywhere Outlook Add-In and click the OK button. 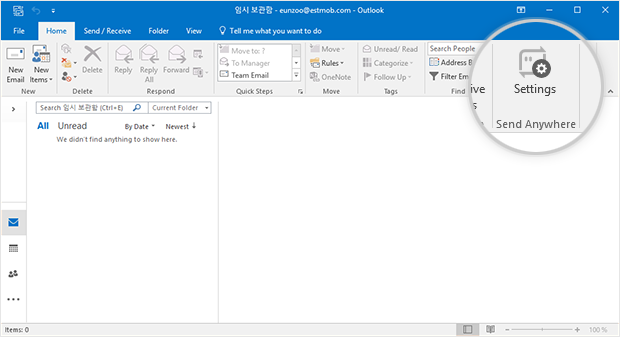 Now you can see that the Send Anywhere menu is active on the ribbon. 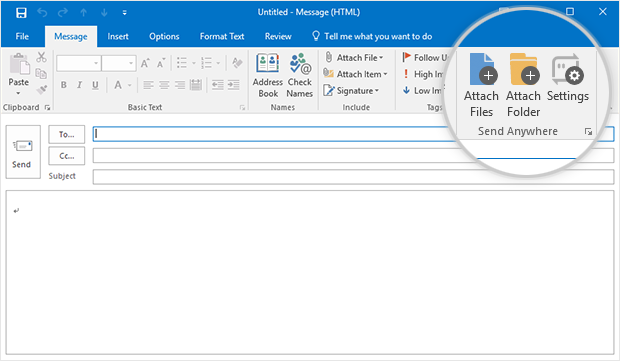 If you change the attachment policy through the active setup menu, you can attach the file in the way you set when you compose the mail.